New creatures call for new ways to fight. Talents! Learn more about them here! In the new Swords and Spirits update, you’ll have a plethora of new ways to defeat your foes. We’ll give you a taste of some of these awesome new abilities called Talents so you can be ready when the horde comes! Talents are a Heroes “abilities” that are used in battle. Say goodbye to your old friends: Melee Attack, Fireball, Blizzard, and Restoration. They’ve served you well, but it’s time to move on. Each Talent has three unique skills. 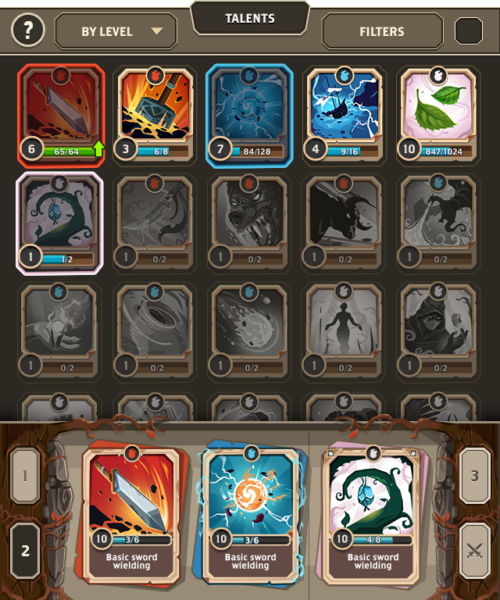 Depending on how many “spirits” you use on your spirit board, you can activate the Talent’s different skills. The gameplay update will introduce 30 amazing new talents! Today, we’ll be going over just three Talents you might use to aid you in battle: Hammer of Justice, Elemental Wisdom, and Mystical Wind. 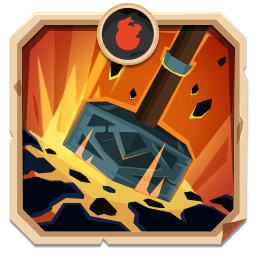 Hammer of Justice has a red spirit on its icon, meaning it’s Melee-based. All of HoJ’s skills ignore the enemy Shield, but the amount ignored is very minimal. This means, the bulk of your Melee attacks will damage the enemy’s shield, and will only fully damage the enemy HP once their Shield is destroyed. Hammer of Justice has a Weak Swing attack that will target enemies in the front row, so be careful when choosing which skills you activate—enemy placement matters! The second skill, Dazing Strike is similar to Weak Swing, but does more damage and isn’t limited to the front row. If you’re lucky, you can even Stun the enemy for 1 round! Having a strong Intensity will increase your chance to Stun the enemy. (We’ll get more into Intensity in another article). Finally, you can pummel your enemies into the ground with a strong 4-spirit-activated Blessed Whirlwind. This powerful attack hits all enemies. On top of this, it will actually fix your Shield (The Shield-equivalent to Healing your HP). Weak Swing – Melee attack on a single front row enemy. Dazing Strike – Melee attack on a single enemy. Small chance to Stun the enemy for 1 round. If Intensity is at Level 3, chance to Stun is increased. Blessed Whirlwind – Melee attack on all enemies. Fixes your Shield by a small amount. Next up, Elemental Wisdom. It has a blue spirit on its icon, meaning it’s Magic-based. All of EW’s skills ignore the enemy’s Shield, and the amount ignored is significant! The advantage of being a Mage and using Magic skills is that you don’t have to worry too much about Shields. Magical attacks ignore most of the Shield and go straight for HP. The first skill is Flame Burst. This skill targets a single enemy in the back row and is Magic-based, so you’ll want to be aware of enemy placement before using this skill. EW’s second skill, Burning Fireball (another Magic-based attack) will target a single enemy and has a chance to inflict burn damage to the targeted enemy’s Shield. This will weaken their Shield over a couple of rounds, making it even easier for your Magic to focus on their HP. The final skill, Massive Meteor Rain, will target random enemies and hit them with six magical attacks. In addition to these six attacks, the targeted enemies will take burn damage for the next couple of rounds. Flame Burst – Magic attack on a single back row enemy. 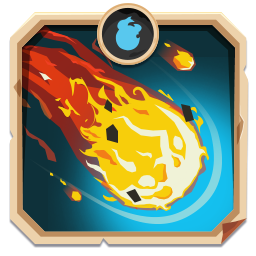 Burning Fireball – Magic attack on a single enemy. Chance to inflict burn on the enemy’s Shield for 2 rounds. If Intensity is at Level 3, add +1 blue spirit. Massive Meteor Rain – x6 Magic attacks on random enemies. Enemy Shield takes burn damage for the next 2 rounds. Finally, Mystical Wind. It has a white spirit on its icon, meaning it’s support-based. Support Talents can help you by making your Melee/Mage attacks stronger. Support Talents can also add spirits, add Intensity, and do other useful skills that will definitely help you in battle. Healing and Shield Fixing also fall into this category. Support Hit – Melee attack on a single enemy. Increase Magic damage for next round. Support Lightning – Magic attack on a single enemy. Increase Attack damage for next round. Super Heal – Heal Hero. Where Do I Get Talents? In the new update, there will be a lot of new Quests. 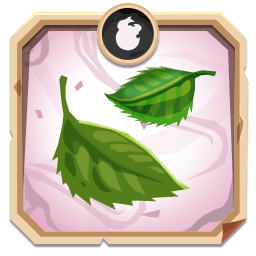 Some Talents will be offered as a reward from completing these Quests. We’ll go more into detail on the different new Quests you can expect to see in a later Blog post. You can also earn Talents through a new area called Shrine. This area will allow you to make duplicates of Talents you already have. Finally, you’ll be able to get Talents from a new Talent Chest. This chest comes with a small twist though. The amount of possible Talents you can draw from the chest is limited by the total amount of campaign stars you have! This means, the more stars you have in the campaign, the more Talents there will be in the possible reward list! Time to go visit some old stages and make sure you 3-star as many as you can! Talents can be upgraded to make them stronger in battle. Upgrading a Talent can be done from the Talents screen in Hero > Talents. After selecting a Talent, you can upgrade it to the next level by using duplicates of the same Talent, along with some Gold and Eternium. You might come across a lot of duplicate Talents on your journey to collecting them all. Do not fret though! A lot of duplicate Talents will be needed when you start to get into the higher levels of upgrading Talents. Every Talent, be it unique or duplicate, is valuable! Could we at least get a hint at the century you plan on releasing this? Know y’all are working hard, but we’d appreciate it more if we knew when your work is gonna show. We understand where you’re coming from. Trust us, we want to show everyone our hard work ASAP too, but there are still things we’d like to get just right before releasing the big update. At this point, we don’t want to make any promises! Previous post: FIND OUT MORE ABOUT: NEW MONSTERS! 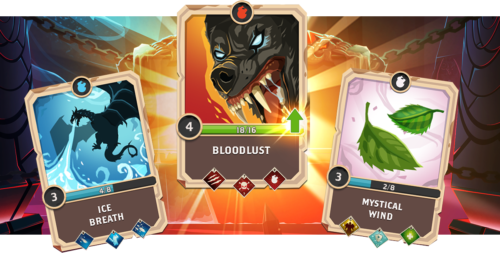 Next post: Get To Know Your New Battle Screen!